With the release of the December 2015 solicitations for DC Comics came the announcement of several title cancellations. Arguably the most talked about series coming to an end is that of Batman ’66. Continuing elements from the Batman television series of the 1960s while introducing new dimensions from the comics to be published since that time, the digital-first title was initially a big hit for the publisher. That premiere came over two years ago and since that time, sales have largely been on a steady decline especially over the last year (with occasional big bumps here and there such as with the first appearance issues of the Batrobot, Solomon Grundy, Clayface, and Harley Quinn to the series). However, for faithful readers of the book, the cancellation came as a shock despite its sales hanging around that of the other titles that were ended (with Injustice: Gods Among Us able to hold on, likely by moving into a Year Five series following its annual’s publication). But there still exists a feeling of being blindsided by some, many vocal fans viewing the book as one of the best titles produced by the publisher and one of the few holdouts at the company of telling a story that was entertaining without being overly dark or gritty. Lets take a look at the title’s history, impact, and future. 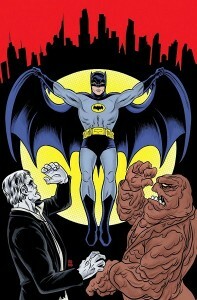 The 1966 Batman television series was a galvanizing work of fiction for comic book fans. 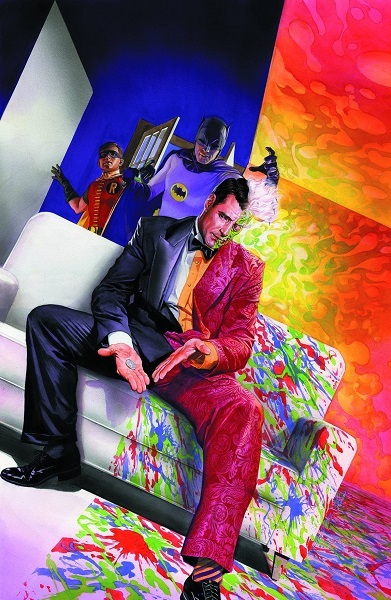 On one hand, the popularity of the series took a character that only two years earlier faced cancellation and turned him into arguably the star of DC Comics, a rise of popularity that continues even today (though, it could be argued Superman is the face of the company, Batman remains its highest grossing franchise). However, Batman’s origins were in the dark, Gothic style before he was turned into a colorful costumed character which nearly killed him in print only to be resurrected by returning to his source elements. What this means essentially is the existence of two types of Batmen, the brooding loner that at night dips his hands into the cesspool of Gotham City and the bright, hopeful crusader who plays dangerous games with costumed crooks that often creeps into the realm of Science Fiction (leaving many writers to walk a line between the two in their approach). Since the comic book world stepped into the Bronze Age, the idea of “joyful” and “all ages” comics have increasingly become taboo concepts (perhaps even the kiss of death for a book to even mention them). And yet, as comic books became darker, the audience has shrank as the work skews increasingly more to a small, select age group leaving most of a viable audience in the dust (made worse by the limited availability of comics, outside of digital comic resources which includes a high degree of illegal online piracy). 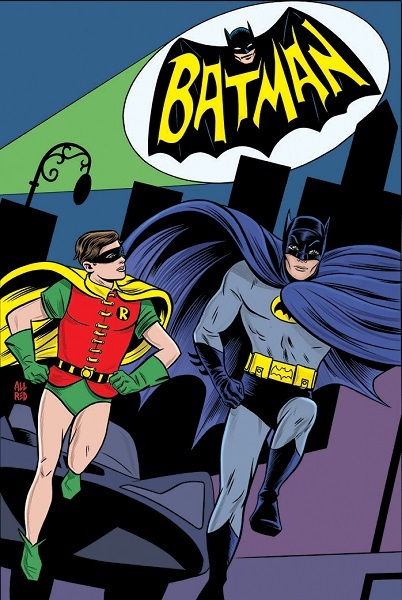 What Batman ’66 offered catered to several of these issues with a familiar context to older fans (and new fans who discovered the work in syndication), all ages material that was safe for children to be introduced to the publisher’s properties, and the digital-first resource which provided viable options for readers (supplemented by published books for traditionalists). When considering who would best serve a series like Batman ’66, Jeff Parker was an excellent choice to scribe the book. Somewhat known for his familiarity for older comic book material and pop culture of yesteryear, Jeff Parker made a name for himself writing Agents of Atlas which featured heroes from Marvel Comics’ 1950s set in the modern day. A brilliant and unique work for the company, the title began as a mini-series before becoming an ongoing series and a reoccurring element at Marvel over the years. It was also around the time Parker produced Batman ’66, he also worked on the mini-series Kings Watch which starred the top comic strip properties of King Features Syndicate in Flash Gordon, the Phantom, and Mandrake the Magician teaming up Defenders of the Earth-style. Initially, Batman ’66 had to find its legs. Stories were made fairly brief to accommodate the digital-first nature of the book, the art likely tried to pay homage to the pop art elements of the original TV series to mixed results, and a balance needed to be found between the limited world of the show and the limitless possibilities of the printed page. To Parker and his various artists’ credit, these issues sorted themselves out in quick order and the title became not only unique for DC Comics but for fiction in general. When the Batman television series first premiered, it was quite faithful to the comics actually adapting several storylines and tried to balance what was on the page and what was possible in the real world (with a limited budget). It’s likely for this reason the first season of the show did so remarkably well, combined of course with the revolutionary nature of the project itself making a unique viewing experience. Batman ’66 captured perhaps the best elements of the show and expanded upon them. The portrayal by the remarkable troupe of actors that comprised Batman were dutifully adapted in Batman ’66 carrying not only their individual voices but the iconic foibles and modus operandi of the players and characters that set them apart from their four color counterparts. But the book didn’t simply stop there going on to introduce many other supporting characters of the Batman mythos, making them work in the separate continuity of the ’66 universe and often times tying them to preexisting content within the world. Such included Killer Croc being a henchman of King Tut transformed by an ancient potion, Clayface a transformed False Face, and Solomon Grundy created by Aunt Hilda from one of Marsha, Queen of Diamond’s husbands. 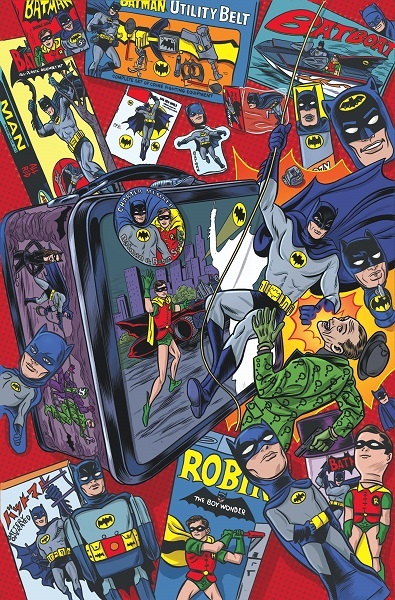 Thinking of it another way, the Batman TV series was very much an art experiment adapting the fantasy world of comics and tying it to pop art and camp comedy where Batman ’66 adapts this adaptation in its own experiment and forms a symbiotic relationship with the source material. It becomes something of a transformative cycle of art producing wholly its own original substance. While considering the unique nature of Batman ’66 especially in the world of comics, the ultimate take away is what it provided the reader. The stories it told were fun, entertaining, nostalgic, engaging, and different than virtually anything else being published right now while it built its own world to play within using Batman and the Batman mythos as its supports. 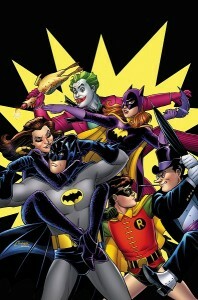 For several, it was one of the final books a DC Comics fan could read that was unrelated to the various retcons and reboots that have plagued the publisher in recent years that had the substance of a familiar DC Comics property without the “edgy” and “cool” elements that seemingly drive the current overall narrative of the line. It was an island to itself that wasn’t mandated to play to any line wide events or generally have multiple hands playing in its sandbox leaving the title to its writer and his artists (with several guest writers). Beyond the ongoing series, the title also enjoyed a mini-series crossing over with the Green Hornet from Kevin Smith, Ralph Garman, and Ty Templeton and a one-shot adapting the script by the legendary Harlan Ellison intended to introduce Two-Face to the TV series adapted for print by Len Wein and José Luis García-López. Despite the conclusion of the ongoing series, Batman ’66 will live on in several ways. In the same month the final issue ships, a mini-series by Jeff Parker teaming the ’66 Caped Crusader with The Man from U.N.C.L.E. will premier and a mini-series teaming the ’66 Dynamic Duo with The Avengers Steed and Mrs. Peel is on the horizon (there is also an expressed interest for a crossover with Wonder Woman ’77). Beyond comics, an animated film in the Batman TV series’ world is also being made with Adam West, Burt Ward, and Julie Newmar set to reprise their iconic roles scheduled for release next year to coincide with the show’s fiftieth anniversary (with a second film also being considered for production already). So, while the Batman ’66 ongoing series is dead, it may yet live on for now as a series of mini-series crossovers in the comics and in upcoming animated features. 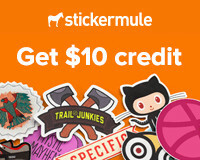 It of course falls on the fans to support these products or see them truly gone forever. 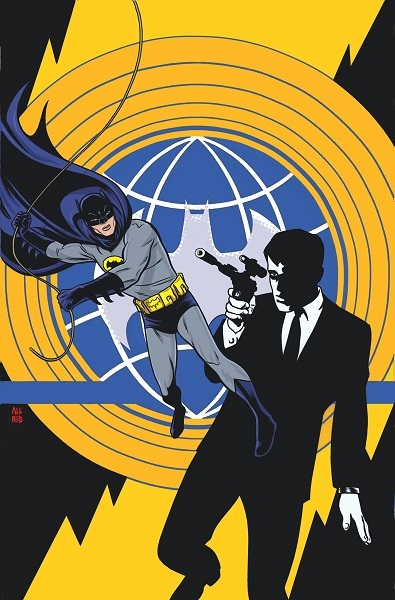 As luck would have it, the fourth volume collecting the Batman ’66 series is coming out in December 2015 in time for Christmas, the fifth volume will be out May 2016, and the first three volumes are all still in print (as the 27th issue of Batman ’66, which will introduce Bane, will be released next week and the final three issues in the subsequent months, the Scarecrow emerging just in time for Halloween). Support these books and the upcoming crossovers and films and there may yet still be a chance to see the Camp Knight rise again (and dance the Batusi).